Location Turneffe Flats is located on the Eastern (seaward) side of the Turneffe Atoll on a beautiful private point with coconut palms and white sand beach allowing immediate access to miles of wadeable flats as well as the best diving and snorkeling in Belize. Instructors & Dive masters Denroy Usher is the key Dive Master for Turneffe Flats, and has been a Dive Master since 2005. Equipment Description Rental equipment is available at the Turneffe Flats including BCD's, regulators, and dive computers. Dive center does not rent wet suits or dive skins at Turneffe Flats but can make arrangements for rentals in Belize City with advanced notice. Cylumes are provided for your night dive, but you will need to bring your dive light. 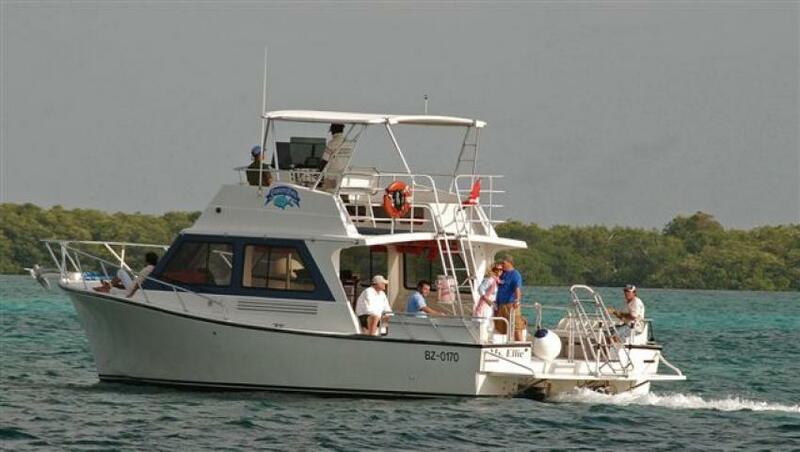 Most diving is done from 48-foot Custom Dive Boat Ms. Ellie. 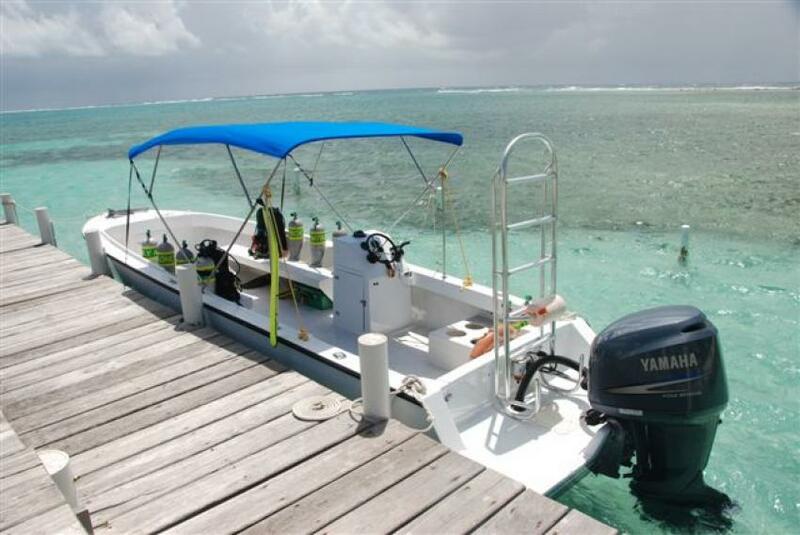 This is a large, comfortable, shaded dive boat which allows easy access to the entire Turneffe Atoll and Lighthouse Reef. Ms. Ellie is rarely shared by more than 12 divers. 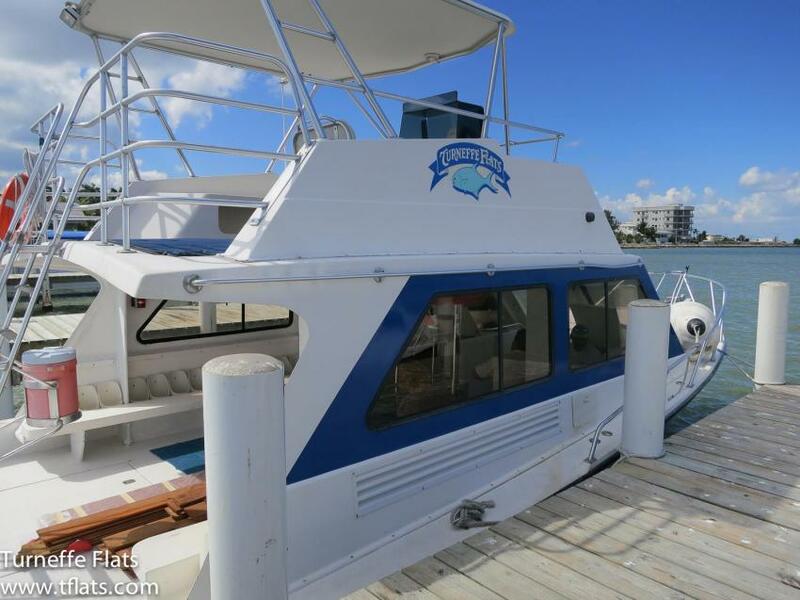 With five or fewer divers, diving can be done from 29-foot dive boat, Ms. K. This boat is a custom-built dive boat constructed to be fast, comfortable and convenient. Read before you go Deposits are refundable (minus a $100.00 handling fee per package) up to 60 days prior to the start of a trip. Within 60 days prior to the start of a trip, the deposit is not refundable for any reason unless we are able to re-sell your space.